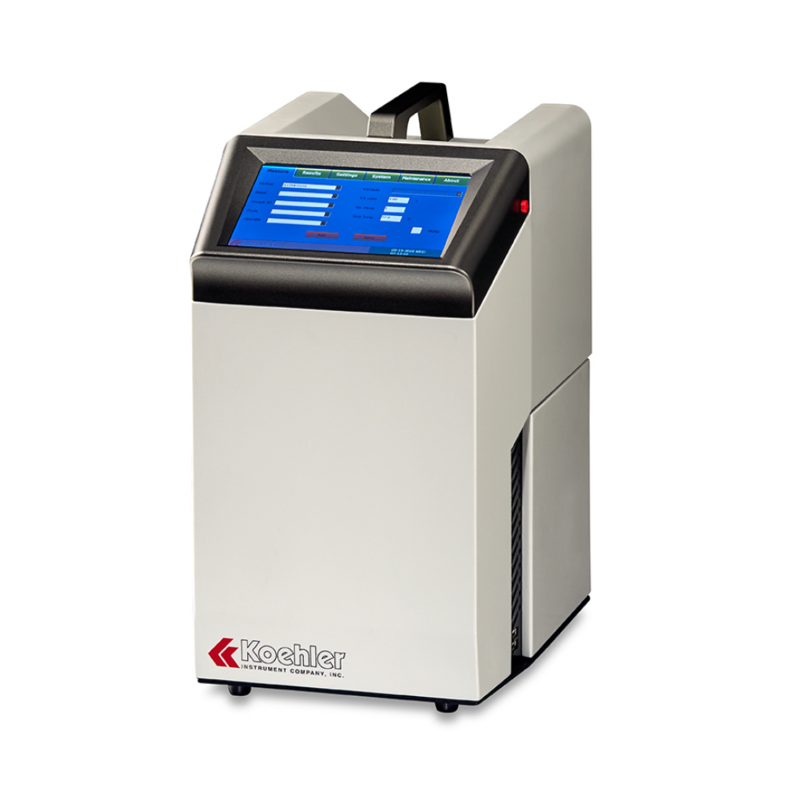 Automatic Microscale Vapor Pressure Analyzer – Koehler Instrument Company, Inc.
ASTM D5191: Determines the total vapor pressure exerted in vacuum by air-containing, volatile, liquid petroleum products, including automotive spark-ignition fuels with or without oxygenates. This test method is suitable for testing samples with boiling points above 0 C (32 F) that exert a vapor pressure between 7 kPa and 130 kPa (1.0 psi and 18.6 psi) at 37.8 C (100 F) at a vapor-to-liquid ratio of 4:1. Measurements are made on liquid sample sizes in the range from 1 mL to 10 mL. No account is made for dissolved water in the sample. ASTM D6378: Determines the vapor pressure exerted in vacuum by volatile, liquid petroleum products, hydrocarbons, and hydrocarbon-oxygenate mixtures. This test method is suitable for testing samples with boiling points above 0 C (32 F) that exert a vapor pressure between 7 kPa and 150 kPa (1.0 psi and 21 psi) at 37.8 C (100 F) at a vapor-to-liquid ratio of 4:1. The liquid sample volume size required for analysis is dependent upon the vapor-to-liquid ratio chosen and the measuring chamber volume capacity of the instrument. 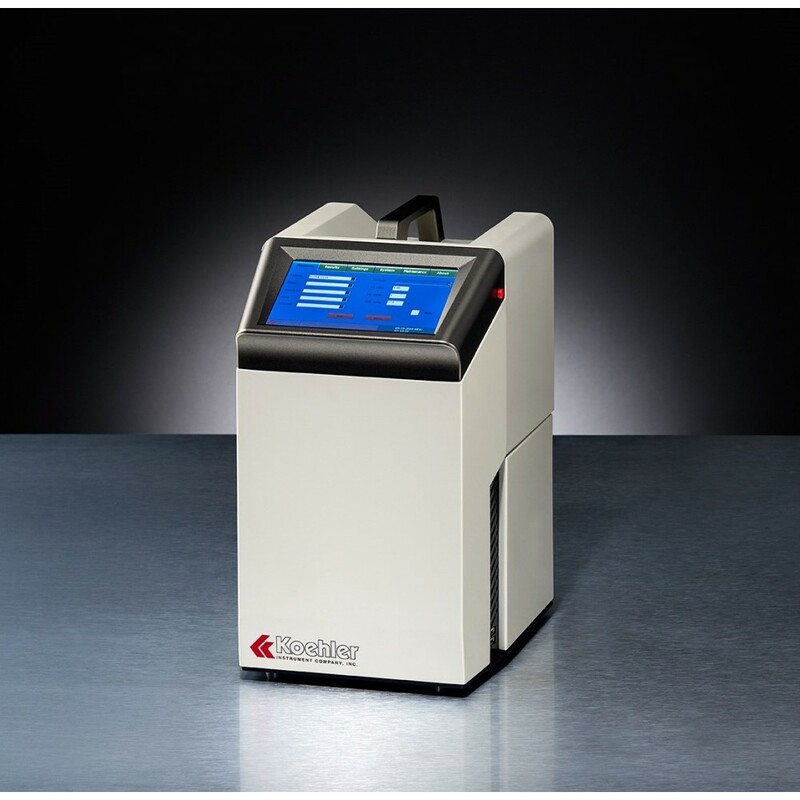 The design of the K24870 Microscale Vapor Pressure Analyzer is based on the Triple-Expansion Principal for vapor pressure determination. The sample of known volume is injected into a temperature controlled measuring chamber with a piston in it, which is then sealed. The volume of the sample is expanded by X times in three steps. The total pressure after every expansion step is measured and the dissolved partial pressure of the air and dissolved partial pressure of air in the sample are calculated. The temperature is then raised to a certain value and the total pressure is measured at the temperature. By taking the difference of the total pressure after final expansion and the partial pressure from dissolved air, the vapor pressure of the sample is calculated.